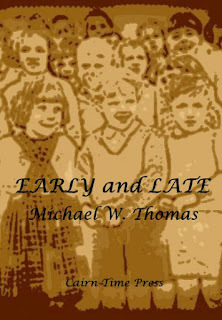 The Swan Village Reporter: Early and Late: new publication. Early and Late: new publication. 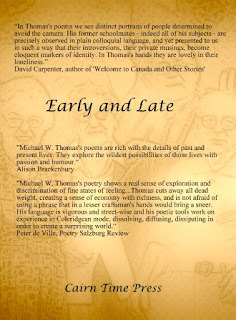 Poems by Michael W. Thomas. Artwork by Ted Eames. Over four sequences, Early and Late moves through the stages of life as the writer views them: from portraits of peers in primary school (inevitably faded by time) through the bronco-ride of adulthood to the condition of those who face endings of different kinds. (This last isn't necessarily mournful: endings can be a matter of renewed hope.) 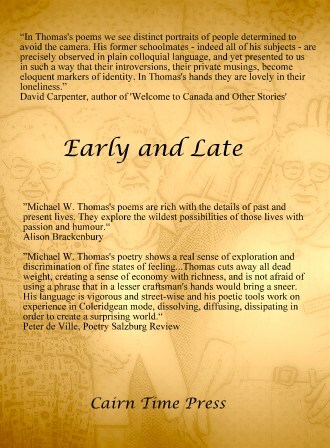 The collection contains illustrations by artist and writer Ted Eames which, in different ways, talk with the poems and reveal further slants on their meanings. The Portswick Imp: Collected Stories, 2001-2016.